Failure to file Currency Transaction Reports (CTRs) when more than $10,000 was sent in one day, especially where multiple under $10,000 transactions are made to evade this rule. What this means for us in Australia? The implications for us in Australia who have been scammed and sent money via Western Union are that there may be the opportunity to get some recompense for moneys lost. This still has to be tested, and I do not want to get people’s hopes up unnecessarily. However a precedent has been set. The article does acknowledge that this is a world-wide issue, and Western Union is responsible for it agents fulfilling its US based anti-money laundering responsibilities world-wide. We have similar anti-money laundering acts here in Australia, and these are administered by our regulator AUSTRAC. All of our financial institutions, including banks and other finance agencies like Western Union and MoneyGram have to report all financial transactions with AUSTRAC, especially those over $10,000 (Threshold Transaction Report – TTR). This includes making reports when they have concerns about what is happening and is called Suspicious Matter Report (SMR). See reporting obligations here. One of the key areas where Western Union and its Agents (Australia Post, etc) have been failing is in checking and verifying the identity of those posting and/or collecting money that has been sent – “transmitted using false identification”, is a “…blatant lack of compliance”. In romance scams the people we are sending money to are not the same as the fake personal profile we believe we are sending money to. This can be shown when we see the details of those who collect the money, as shown in an AUSTRAC report obtained under Freedom of Information. For example, I believed my fiance was 52 years old, however the money was collected by a man [scammer] with the profile name given to me, but a birth date of 5 October 1980. That does not quite add up! 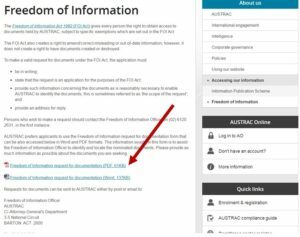 To get an official list of your transactions submitted to AUSTRAC so you can see for yourself, go to the AUSTRAC Site and follow the link to the Freedom of Information page. There you will find a link to the form to request your details. As AUSTRAC only deals with transactional data when asked for the scope of the request, all you need to enter is “all reports relating to me for <the specific period you were being scammed>”. They then pull all of the data sent by the financial institutions identified by your name and send it to you in one report. It is an interesting document to have and can highlight some discrepancies that show it really was a scam, that the person collecting the money was not the person you thought they were. The media reports ends with information for victims – at least those in the US, but does not address those who might be overseas. Keep watching for more on this. Have you been unfairly treated by Western Union or a Bank? If you feel you have been unfairly treated by Western Union or a bank that you may have utilised to send telegraphic transfers through, please let me know. 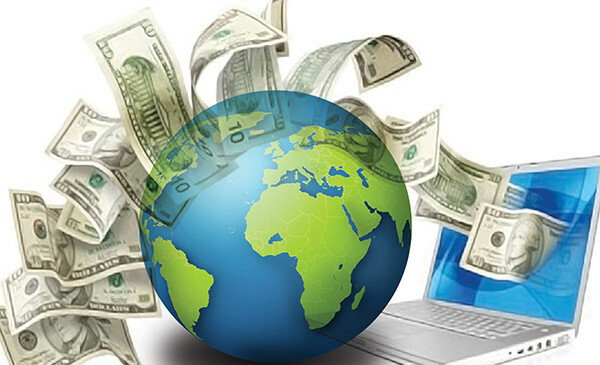 This may include failure to query why you sent large sums of money overseas, failure to query what you now know to be money laundering activities, being able to send multiple lots of money via Western Union on the same day, or similar activities. I am gathering stories for further exploring the efficiency of the banks, financial agencies, etc in our interactions with scammers. Please include details of where you think these organisations have been found wanting. Use the To Contact Me link. Please note that scammers are all over facebook, creating fake profiles and sending friend requests and chatting victims up. This is where my long list of scammers finally got me. Just when I let my guard down—BAM–in the fake profile came. Gone went my money via Money Gram. Please note that there exists a group trying to get a class action suit going against fb. They did not do anything about my complaints…and my scammer’s profile is still up. Also, note that once they target you…you are most likely put on a list and they will keep trying to get at you. You can never let your guard down. If you have a page on fb, make sure friends are made private, do not share any posts or information publicly, do not accept friend requests from persons you do not know, never let your guard down. Money Gram needs to also have more safety features in place when wiring to countries such as Nigeria. We tried to get $80000 back through western union. It was paid in two amounts of $40000 and l was told that they were his sisters. They found the money in a bank but was told it was to late to get it back (2 1/2) days and was waiting to get picked up and was told they couldn’t do anything from Australia. Thank you for posting Jan.